You know how the saying goes: new year, new you. January is a month rife with the desire for change, freshness, and renewal, and when it comes to your home, the need for a reset button can feel especially urgent. The effort of pushing out the old and pulling in the new is equal parts emotional and physical, which is precisely why giving your space good vibes involves healing on multiple levels—and why there’s no better person to help you refresh the energy of your home than an energy healer. With a neutral-filled home, speckled with houseplants, brass accents, and Southwestern decor, Bridget Ambrose has created her own sanctuary, and as an interior stylist (as well as a tarot reader and energy medicine healer), she helps others to do the same. Feel like you’re in need of an energy shift? Follow the Missoula-based healer’s tips to revitalize your home below. For Ambrose, the first step to creating a sacred space involves crystals and smoke, which can help to reset the energy in your home when used in cleansing rituals. “Selenite is an easy to find and an affordable crystal, which has a beautiful way of cleansing and clearing the space. It’s the perfect stone to keep near your front door or any room you want to maintain a positive vibe,” she says. For smoke cleaning, a wide array of herbs will do—just be sure to buy only sustainably sourced, ethical options. If you use herbs grown in your backyard, even better. Understandably, you might not be able to part with everything in your home that fails to spark joy for you (does a printer or bulky vacuum elicit an emotional response in anyone? ), so when you can, stow these kinds of items where they’ll be out of sight until you need them. The removal of visual clutter alone should make a big difference in your space. “Every item in your home is holding energy that is being reflected back to you. And while design and products can accent any space, feel is something only you can create,” Ambrose says. 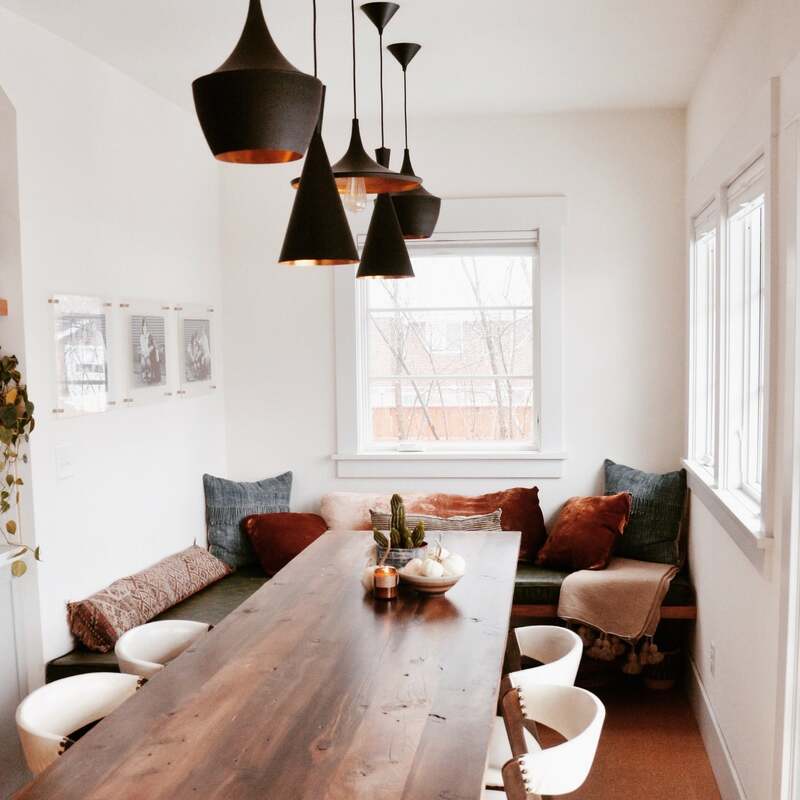 The advice to fill your home with things that you love may seem obvious, but mapping out your personal style may be trickier than it seems, especially when you’re blending your taste with that of your significant other and additional family members. If you’re having trouble with this task, start by making a list of things that are most important to you in your space. Do you want it to feel lively? Maybe you need some additional colors or patterns. Are you looking for more of an oasis? Perhaps a more minimalist design scheme is up your alley. Don’t be afraid to experiment when it comes to finding out what kind of design best suits your emotional needs. As a self-described “sanctuary-maker,” Ambrose prioritizes elements that create a comfortable atmosphere, which doesn’t just mean piling your space with blankets and pillows (though, admittedly, those can help). Though her home is dressed in a largely neutral palette, it’s filled with small details that add a personal touch, which can make all the difference. When it comes to customizing your space, this can be as simple as selecting a sofa in a fun color, even if it might not be the most practical option, treating yourself to a pricey piece you’ve had your eye on for ages, or even just following your own style instead of sticking closely to trends. After all, it is your home—it should look and feel exactly how you want it to.